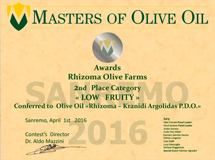 Rhizoma Olive Farms are part of an innovative brand based on the expertise of the company’s founder, biologist Dr Tasos Anestis. 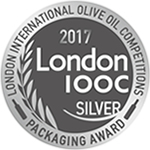 With the wisdom of three generations of olive oil production, along with a dedication and belief in the product you can taste, we have produced an exceptional internationally awarded extra virgin olive oil. 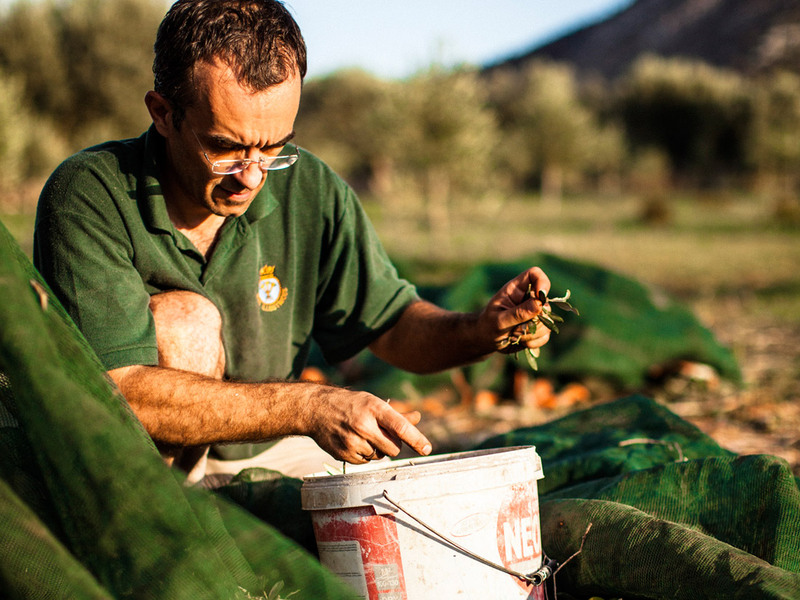 Our traditional wisdom, coupled with the latest innovations and best practice in organic extra virgin olive oil production is based on scientific research from all over the world. Our commitment to the best cultivation and manufacturing practices means we can be sure of a superior product. Together with our dedication to high quality, Rhizoma also promotes the Mediterranean diet and champions’ sustainable development. We follow traditional methods and procedures from days gone by, always seeking to implement them in a more efficient and agronomically-friendly manner. Commitment to the best cultivation practices is our main aim. We systematically manage almost 22 hectares of healthy trees of varying ages, most of them planted and all of them lovingly cared for by our family. for olive oil production in the world. Argolis has garnered worldwide fame as a highly productive olive oil region thanks to its extremely favourable climatic and territorial conditions. It’s thanks to these conditions that olive growing is so important here. Our region has all the hallmarks of a sub-tropical semi-arid Mediterranean climate: the average annual temperature is 18.5 ⁰C, with long warm summers and temperate winters. The landscape is pleasant, neither too green nor too dry for most of the year, more smooth than steep. The wide valleys form a mosaic of blonde wheat fields and silver-leafed olive orchards between limestone mountain ridges. The houses in our region cluster in small villages up in the slopes of the numerous hills, in contrast to Northern Europe or even the USA where each farmhouse is built in the centre of its land, some distance from the next farm. In modern Greece, relatively small properties are the norm due to successive fragmentation for dowry. Kranidi is situated on the south-eastern tip of the Peloponnese peninsular, an ideal microclimate for olive cultivation due to its proximity to the coast and the fertile soils of Didymo Mountain. 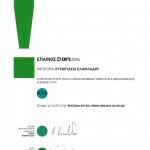 The high quality of our product is certified and safeguarded by the Kranidi Protected Designation of Origin (PDO), recognising the superior international reputation of products from this area. 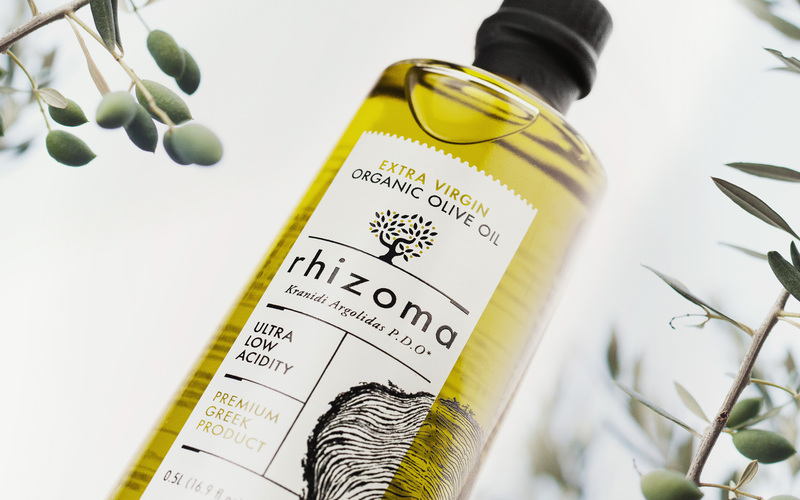 Rhizoma extra virgin olive oil (EVOO) is produced from this fertile land using sustainable, eco-friendly methods, while always giving back to the local economy thanks to our experience, passion for quality-controlled production and family tradition. Olive growing on Rhizoma Olive Farms plays a significant role in the local economy. Thanks to the local soil composition and favourable climate, the area is particularly suitable for olive tree cultivation. The south-east Peloponnese is characterised by differing soils and diverse landscapes combining to produce interesting microclimates. This primarily hilly territory, which overlooks two seas, the Argosaronic and the Saronic bays, has a beneficial influence on the whole climate. 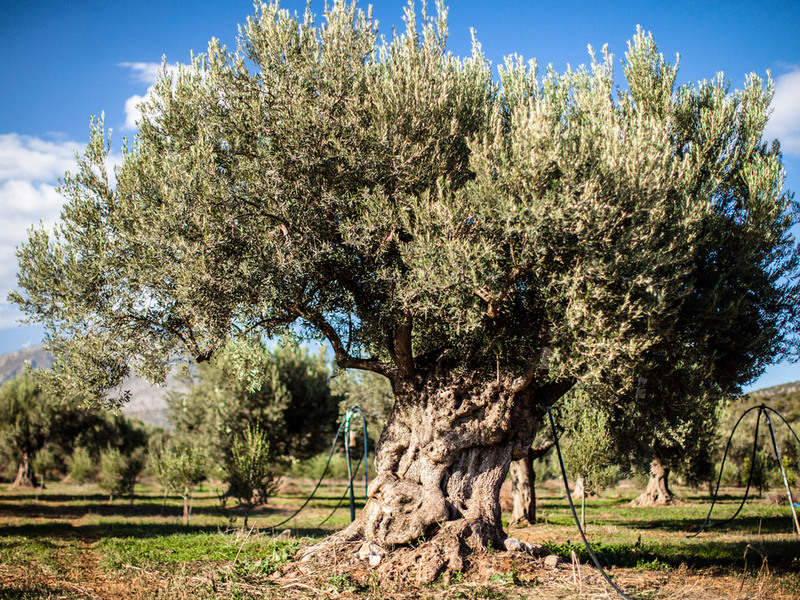 Although olive trees adapt to a wide variety of soils, production is best where the trees can develop roots or ‘rhizomes’, to give them their Greek name, without chemical or physical restriction. The soil’s physical and chemical condition is critical to quality olive oil production. From a geographical point of view, the region is characterised by its many contrasts between non-irrigated and irrigated areas, valleys and mountainous reliefs, coasts marked by the influence of the sea and the invaluable sea breeze, and dry inland areas. The landscape of the region is shaped by Didymo Mountain, which is in turn part of the southern tip of the Pindus range, with steep mountain areas alternating with small valleys and depressions with more rolling topography. 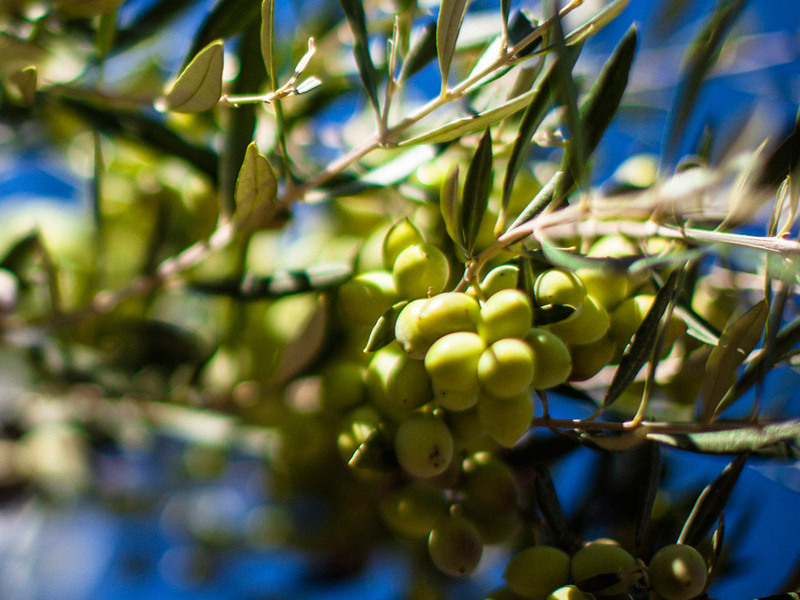 From a historical point of view, olive growing in Kranidi has deep and ancient roots. According to an archaeological survey carried out by Stanford University (Archaeology without the Axe, 1987, Stanford University Press) the greater Argolis area was first inhabited by prehistoric humans 35,000 years ago. It is here that they found shelter, hunted, made useful everyday objects and art pieces, and cultivated the land. This is evident from archaeological artefacts found all over the surveyed landscape from sites such as Frachthi Cave, Ancient Aliis, the Flamboura Acropolis, the Byzantine Avgo Monastery, and St Marina at Didyma, where many human settlements give evidence for continuous human occupation of the land. The existence of ancient stone walls provides evidence for attempts by the first inhabitants of the area to retain the sparse soil to provide land for the olive trees to grow. For thousands of years, life in the region was supported by the cultivation of cereals in the fertile lands of the valleys, the high inland plateaus, the low hills and the coastal valleys of the south where the Rhizoma Olive Farms now flourish. 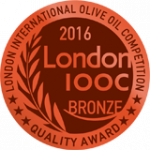 Rhizoma is a premium quality, internationally awarded, filtered, organic extra virgin olive oil (EVOO). 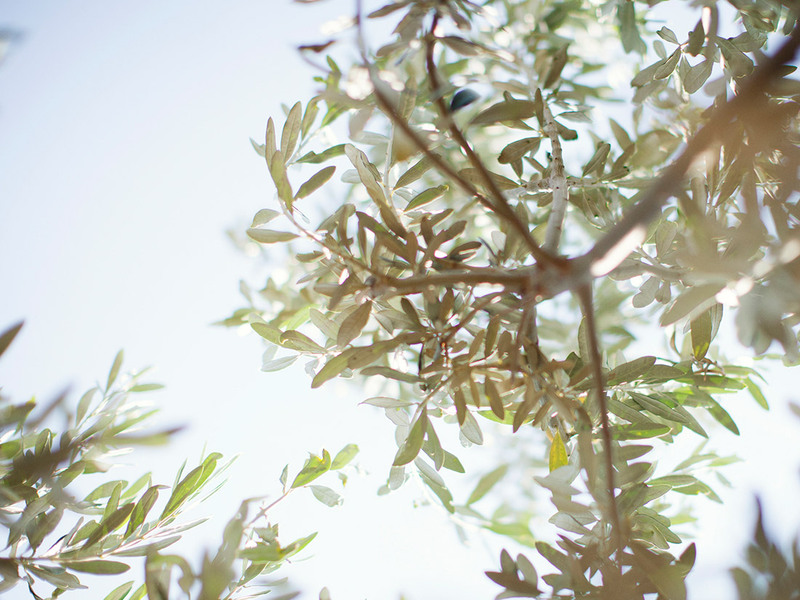 Our oil is obtained entirely from hand-picked fresh green olives and produced exclusively by mechanical means. During production, care is taken so that temperature never exceeds 25⁰ C. Malaxing (or stirring) time is always below 40 minutes to minimise oxidation and ensure maximum polyphenol content. Members of our team have been systematically studying olive growing and oil-making with agronomists and oil experts from around the world for the past decade. 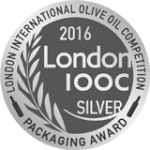 Additionally, Rhizoma has won second place in the Masters of Olive Oil International Competition (MOOOIC), San Remo 2016 (http://mastersofoliveoil.org/awards-moooic-sanremo-2016/) and silver and bronze medal for packaging and quality in London’s international competition (http://www.aristionawards.co.uk/el/apotelesmata-vravia/). Rhizoma has an intense limpid golden yellow colour with green hues is the most recognisable visual characteristic of our EVOO. Its aroma is ample and rotund, rich in notes of fruity hints. Its taste is elegant and strong with notes of artichoke and medicinal herbs, especially thyme and freshly cut grass. It is ideal on bean appetisers, salmon carpaccio, tomato salads, marinated or roasted fish, mushroom soups, mussel risotto, stewed cuttlefish, baked poultry or lamb, goat’s cheese, chickpea salads, mussels au gratin, couscous and barley purée amongst others. 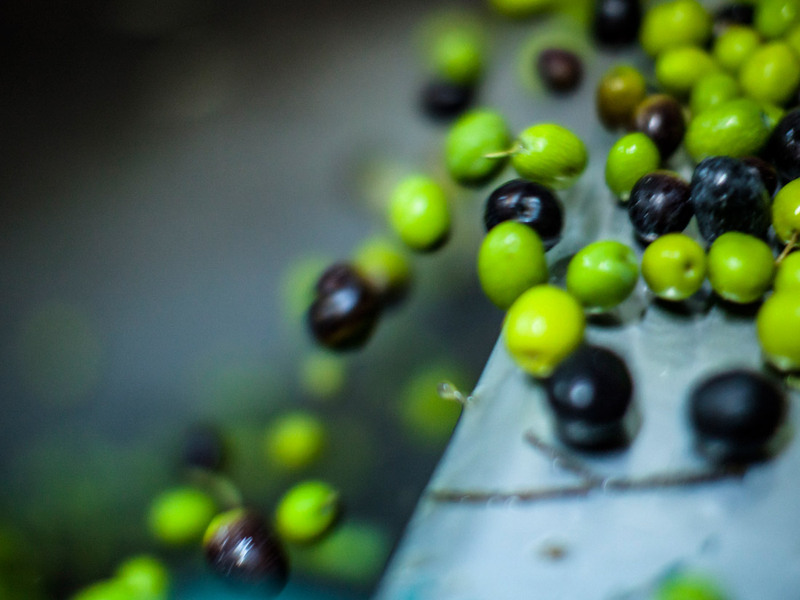 The typical oval-shaped ‘Manaki’ olives are known for their tender and satisfying flavour and their classification as one of the oldest varieties in Greece. Several hundred of the trees in our olive orchards are at least a few hundred years old, reliably offering a bountiful crop of olives year upon year. Our oil is produced under the strictest quality control during cultivation, harvesting, and oil making. We also pay close attention to our carbon footprint and water conservation. Our business is always informed by the voices of our ancestors, calling us on to new and better ways of doing things. This is why we try to look 20–30 years into the future, starting projects that we hope our children and grandchildren will continue. Our modus operandi in farming is ‘continuous trial and error’ until our standards of quality are met; solemn, wise and rich just like our precious oil. 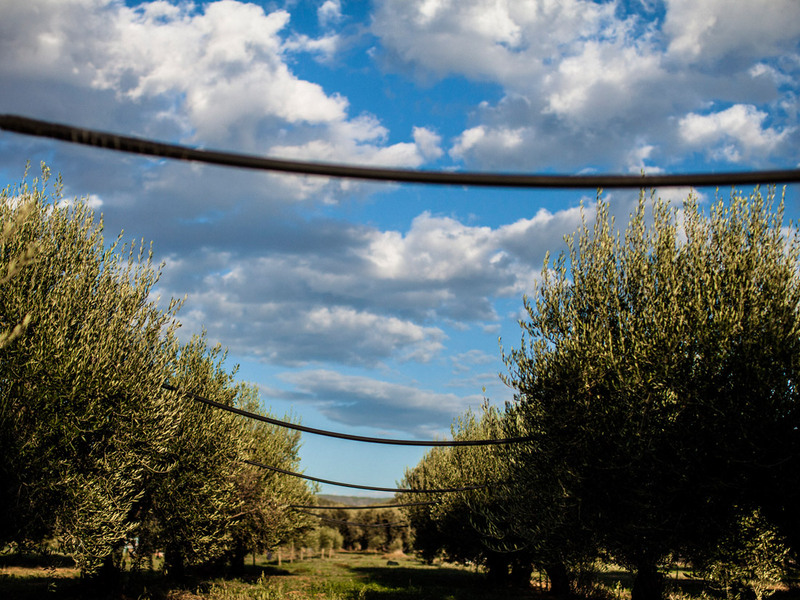 As producers we aim to take our client by the hand out into our olive orchards, reassuring them of the goodness of the land and the excellence of our product. 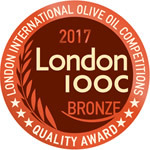 We, the producers of Rhizoma olive oil, like pioneers in other fields, have strong, independent personalities exactly like our unique flavours of our olive. 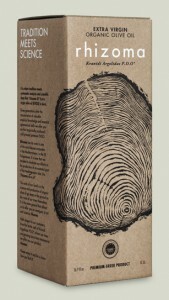 The packaging of our product is designed a minimal and elegant way, truthful to our philosophy of reducing our carbon finger-print as much as possible. All materials used are recyclable. Our box packaging eliminates the photo-degradation of the olive protecting it from harmful sunlight. Additionally, care has been taken to safely packaging by the addition of a cardboard locker in the box that stabilizes the bottle in its box and an extra hard paper insole bottom. A practical, award winning, T-mix verso cup for controlled flow specifically made for Rhizoma is also included. 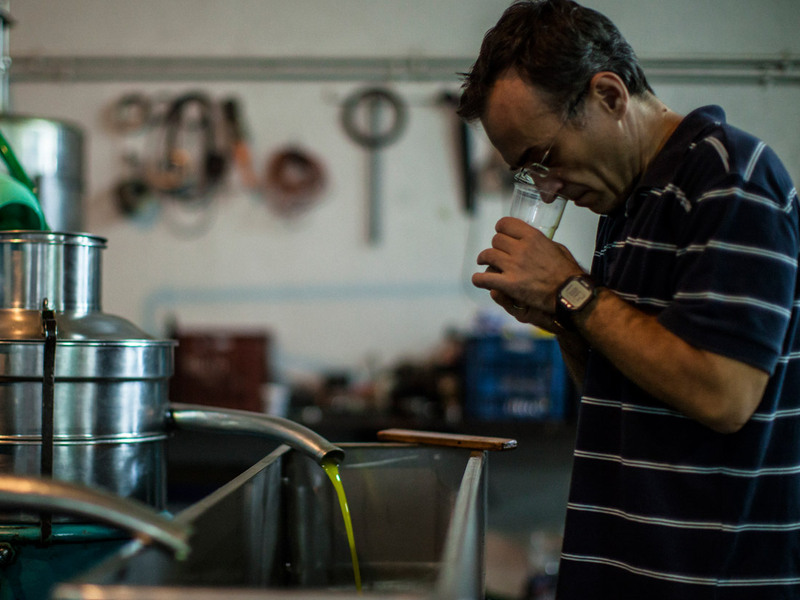 Visit us and learn more about the world of organic extra virgin olive oil. 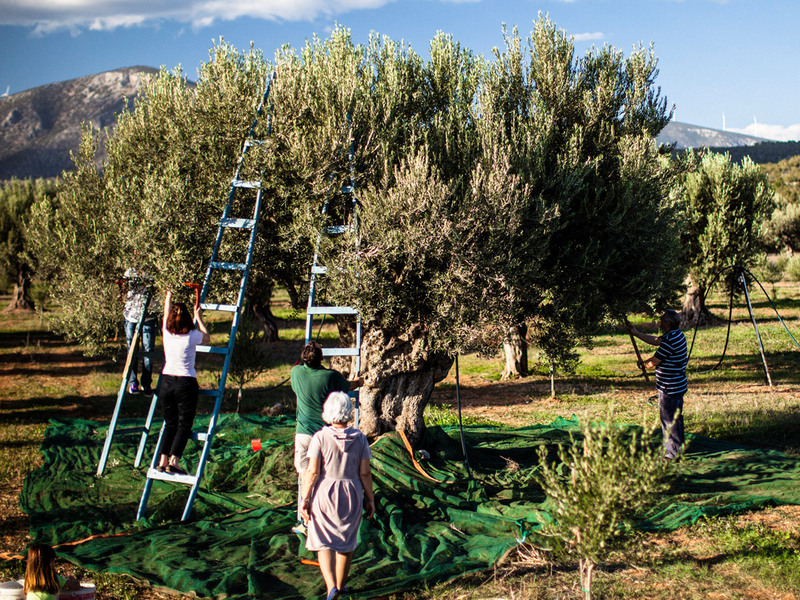 Come visit our olive grove at Kranidi Argolidos (Designated Protected Origin), in Peloponnese. Discover the olive tree culture, the olive oil production process and the origins of our family business of olive oil production which goes 60 years back. You will be participating in olive oil tasting, and learn about the everyday routine of an olive farm. There is no cost involved and Rhizoma olive oil will be available for purchase after tasting. We will confirm your request via email.